the canDIshhh tales: Giveaway Alert: BagsGo Reusable Bags! Last year, I won two of these bags at Tita K's giveaway on Live Love Lolz. I fell in love with them as soon as I got them. The two bags that I got I brought with me to Tokyo (May 2013), one I gave to a friend together with her pasalubong, and she loved it! She even texted me back to compliment on the bag, she said it was so roomy, lightweight and different from other eco bags because it folds flat. The other one I used everyday in Tokyo, and I was so proud lugging it around! I remember reading on the flyer of the bag that the material is actually the same material used in parachutes! Cool right? Naturally when we got back, I was uneasy of having just one (1) piece, so I trotted to True Value Trinoma (because I was told that they carried these babies) unfortunately, the stocks haven't arrived yet. But I knew I had to have one, luckily we went to Shangri-La Mall the next day and the True Value there had it, so I bought two more. I placed on in the kid's bags and another in the car. And we have been happy users ever since! My first gray BagsGo Reusable bag has been with me to ALL my travels. The bag has been to Tokyo, Hong Kong and most recently to Singapore. I bring it everywhere because its so light and it folds flat so easily. I can just put it in my bag and wouldn't notice the weight. It was so useful during our Singapore trip because it was where I put all of Kailee's things! It was our unofficial diaper bag - we just hung it on the stroller and voila! Problem solved - no more extra diaper bag!! Last Saturday, while packing for Kailee's swimming lessons. I noticed that the handle of the bag where it was stitched was torn. Must be all the abuse it was subjected to during all the travels and what nots. I felt really bad because I knew I needed to retire the bag or repair it. So, to make myself feel better - I bought two new ones while we were at Robinson's Magnolia. Haha!! I can't tell you enough how useful this bag is. I've literally put pillows, jackets, blankets, food items like canned goods, milk, tissues in it wherever I went. I love it so much that I have one in my bag everyday - just in case. 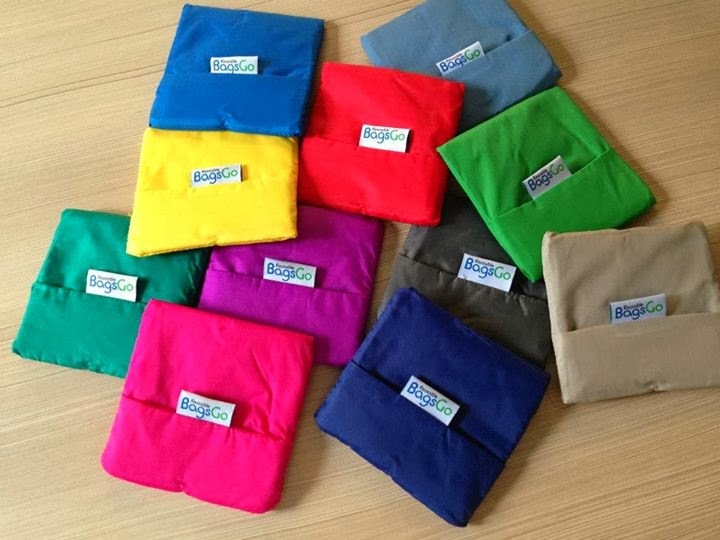 To share my love for these babies, BagsGo Reusable bags is sponsoring a giveaway! Yes, you read that right - a GIVEAWAY!! :) BagsGo Reusable bags is giving away two (2) bags to five (5) winners! :) Joining is VERY easy - just follow the Rafflecopter box below. 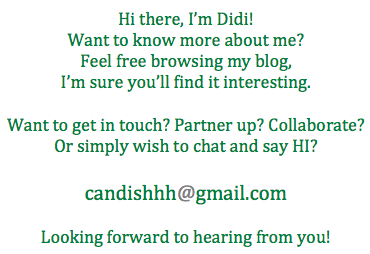 Make sure to read the terms and conditions! 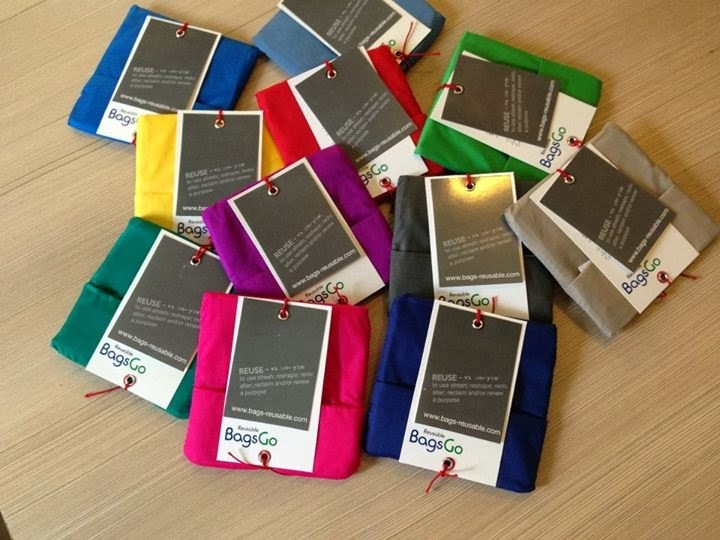 Thank you BagsGo Reusable Bags for caring for the environment! And for thinking of us - making them fold flat and making them lightweight for us to bring everywhere anytime!